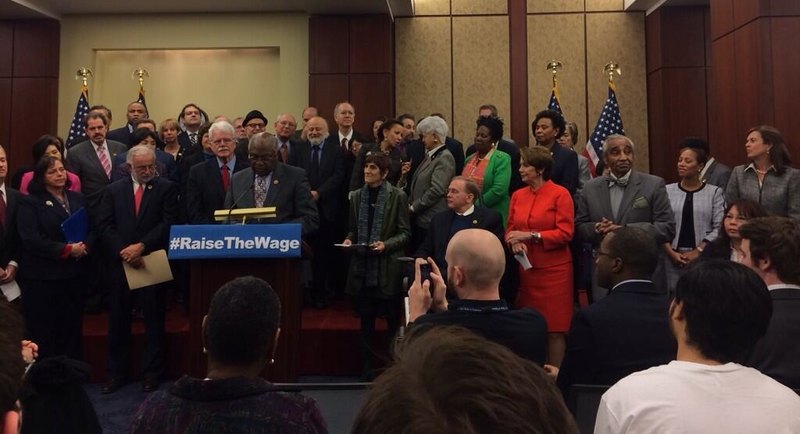 On February 26, Jeff (behind speaker James Clyburn, D-South Carolina) represented Ben & Jerry’s at a rally in Washington to raise the Federal Minimum Wage. He joined George Miller, Nancy Pelosi, and other House Democrats, along with other business leaders who have signed a statement sponsored by Business For A Fair Minimum Wage. 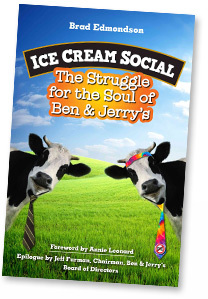 Co-signers with Ben & Jerry’s include Costco, Eileen Fisher, Dansko footwear, New Belgium Brewing, Seventh Generation, Parnassus Investments, Organic Valley, Zingerman’s, The American Sustainable Business Council, The Greater New York Chamber of Commerce, Main Street Alliance, ABC Home, The National Latino Farmers and Ranchers Trade Assoc, Uncommon Goods, Equal Exchange, American Income Life, and hundreds more. Jeff Wears a Tie (With Photos)!